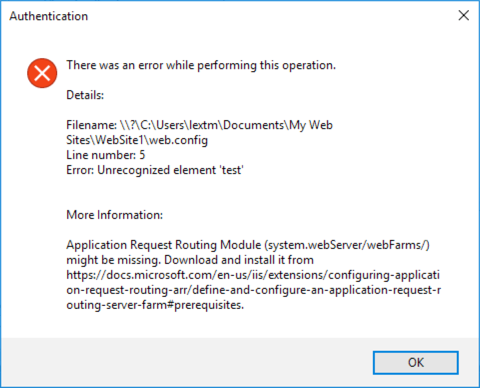 This page shows you how to use Jexus Manager to analyze IIS Out-Of-Band (OOB) related 500.19 errors. The error message does not reveal enough information, nor the root cause. Clearly Jexus Manager not only shows the exact line number in the config file, but also indicates the OOB module name and its download link. Simply follow the link to download and install the module, and the errors would disappear.